Suffering from the Dreaded Mid-Afternoon Slump? All of us are trying to keep up with the hectic pace of life, which has us reaching for less than healthy options, full of synthetic chemicals and sugars. Want to make a change but scared to cut the caffeine? 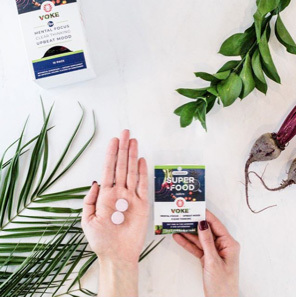 If you are looking for convenient, effective and healthy nourishment for a healthy brain, improved concentration, attention, positive mood, memory and mental energy, you might consider a Voke superfood tab. It is a twice-daily plant-based chewable tablet. As noted by the company, it is supported by over 25 independent studies that show it can boost your whole-body health and give you more mental productivity. Nature and science join forces for what Voke calls “nourishment for the mind.” Each Voke tab contains just four ingredients: natural red beetroot, organic raw guarana seed, organic acerola cherry and natural green tea leaf caffeine. There are no artificial sweeteners or flavors. No sugar, in general. It’s gluten-free and vegan plant-based. Voke also contains 100% of your daily value of vitamin C.
Organic raw guarana seed (also known as paullinia cupana) is sourced from the Amazon in Brazil in cherry form and then dried and ground to powder for the Voke tab. It is considered a superfood for its natural antioxidants but it also improves mood, helps your mind focus, assists with weight control and boosts productive body energy. When combined with the acerola cherry (known as malpighia emarginata), also from the Brazilian Amazon, the Voke tab builds up even more natural antioxidants. The acerola cherry contains so much vitamin C that is used for immune support, essential nutrients and sport recovery. The U.S. red beetroot, or beta vulgaris, is naturally sweet, tasty and what gives Voke tabs their light red color. Red beetroot has been documented as a natural medicine to as far back as the Roman times. Beetroot contains several bioactive agents including nitrates, vitamin C, flavonoids, carotenoids and betalains. These agents along natural antioxidants and essential nutrients to help with cognitive function, blood pressure, chronic inflammation, and oxidative stress. When combined with camellia sinensis (green tea leaf) caffeine, from China, cognitive function and productive energy increase greatly through the consumption of a Voke tab. Each tab contains approximately 75mg of natural caffeine, helpful for short term energy. This month, Voke also received a gold seal by the Banned Substances Control Group (BSCG), considered the best third-party company specializing in the accreditation of nutritional supplements, natural products, functional foods, and more. Obtaining a BSCG Certification is considered the gold standard in dietary supplement certification because the company developed the program to provide protection against 485 drugs and includes 274 drugs on the World Anti-Doping Agency (WADA) prohibited list. It also includes an additional 211 illicit, prescription and over-the-counter medications not banned in sports that no other dietary supplement certification program covers. Having the Certified Drug-Free designation, consumers can be sure that Voke is made of exactly what is stated on the label and avoid potentially harmful or undisclosed additives. Still not convinced? Eat two Voke a day and give yourself a great brain day. You can avoid the daily low point which happens around 3 pm, where we make poor decisions, are less focused and, yes, our mood declines. 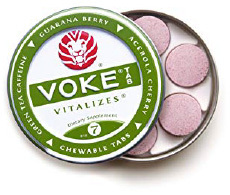 Try Voke Tabs to experience the healthy and refreshing benefits that come along with these convenient chewable tablets! The Coffee & Tea Newsletter team tried them and found them to be helpful in focusing and picking-up our mood but since we don’t take regular chewable tables, taste was something we needed to get used to. Voke Tabs can be purchased online at VokeTab.com one-time or by subscription for 15% savings. You can get extra use out of teabags after your cup of tea. 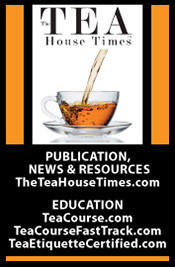 You can reuse the teabag, but after the first cup it will start to lose flavor and strength. 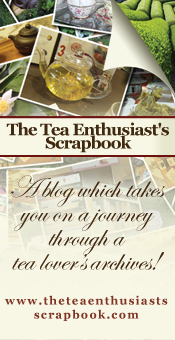 But if you think teabags are only used in the drink, read on, there are plenty of other uses for them! 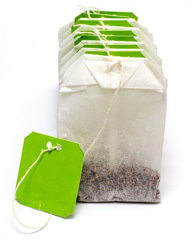 Soothe burns and nicks from razors by applying a wet teabag to the skin. 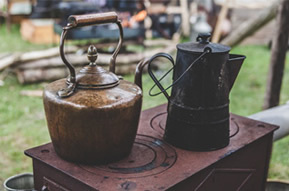 If you have sunburn, a bruise, stings or bites, or a cold sore you can put a damp tea bag onto the area and it will help to soothe the skin. While the obesity epidemic in the U.S. is only getting worse, one Long Island resident is making an effort to help combat this threat by changing the first unhealthy decision most Americans make as soon as they wake up – what they put in their coffee. Chris Cianciulli has been involved in many areas of the health and wellness industry over the past 24 years and is currently the president & founder of TraLa Organic Coffee Sweetener, in addition to being president of a professional networking group. Chris is a busy guy. Cianciulli combines his business acumen with his experience as a personal trainer and exercise physiologist to launch a product that is a better alternative to sugar and the other alternative sweeteners out in the market. With about two-thirds of adult coffee drinkers putting sugar, cream, flavorings or other calorie-rich additives in their drinks, Chris is determined to help people start their day off in a healthier way. What Is TraLa? 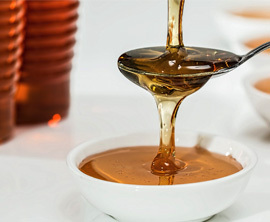 TraLa is the syrup harvested from a vegetable grown in Peru. A touch of flavor is added to give a "subtle sweetness" and delicious flavor to your coffee. 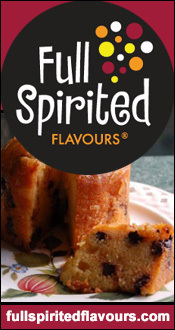 They use only 100% Organic Yacon syrup and natural flavors. Organic, no preservatives or artificial flavors, Non-GMO, Keto Friendly, Vegan, Soy Free, Gluten Free and is a top category seller on Amazon. “We have discovered in the last six weeks that our ideal customer is someone that uses regular table sugar, or someone that drinks their coffee black because they are sacrificing the sugar to make a healthier choice. 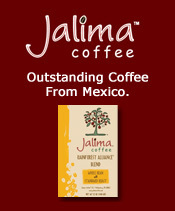 By using this product they are able to enjoy their coffee once again with that subtle sweetness,” shared Cianciulli. We couldn’t agree more! 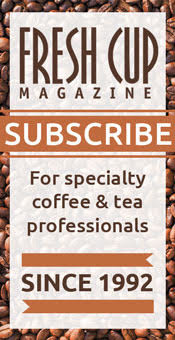 We did a little taste test in the Coffee and Tea Newsletter “kitchen” and the results were very interesting. Almost 100% of the people in our office who tried it “expected it to be sugary sweet” and were pleasantly surprised when it “added sweetness” without being aggressively sweet. One thing we loved best was the fact that it offered just a hint of sweetness without masking the taste of the coffee. 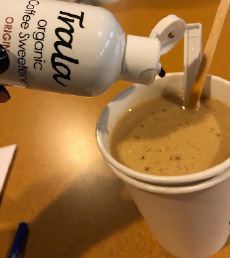 The flavored TraLas did change the pure coffee flavor a bit…but if someone is putting french vanilla or hazelnut flavored products in their coffee, clearly they want to taste it. They may need to use a bit more TraLa than other flavored sweeteners to achieve a flavor punch. 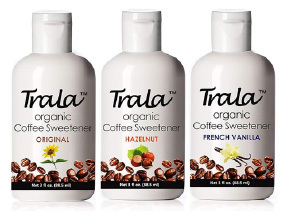 TraLa is available in three flavors: original, french vanilla, hazelnut, and sell for $11.99 for a 3 oz. bottle. 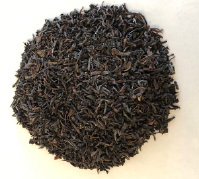 SerendipiTea just imported its first shipment of certified organic black tea from The Small Farmers Tea Project located in Peermade, a subdivision of the Idukki district, a fertile, lush, densely forested and mountainous region in the Western Ghats of South India. With a long history of spice growing, the focus is now on the organic production of black pepper, white pepper, ginger, nutmeg, mace, cloves and turmeric as well as herbs such as oregano, sage, thyme and rosemary. More recently coffee, tea, cardamom, and coconut are prevalent. This tea has a unique aroma and flavour, reminiscent of Nilgiri but distinctly its own. The brisk, light-medium bodied, bright copper-hued tea is ideal for all day sipping. 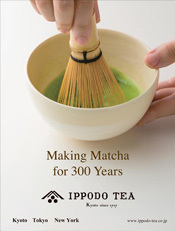 And, the story behind the leaves ensures that each cuppa is full of delicious goodness. 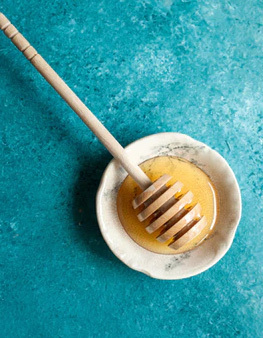 Enjoy this honey quiz from the National Honey Board and see just how much you know about nature’s finest work. 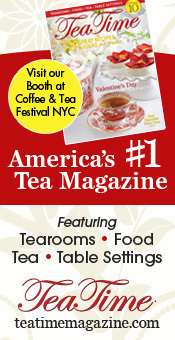 • Suffering from the Dreaded Mid-Afternoon Slump?